Convert audio to MP3, M4A, FLAC, AAC, Apple Lossless, Opus, Vorbis, and other audio formats. Supports 50+ audio file formats. Rip audio from CDs in bit perfect audio quality. Edit metadata of audio files. Get metadata from 6 online music metadata services. Burn audio CDs and MP3/data discs. Optimized for audio quality. Perfected 20+ years. Batch convert audio files between audio file formats with the highest audio quality. Edit all metadata prior conversion. 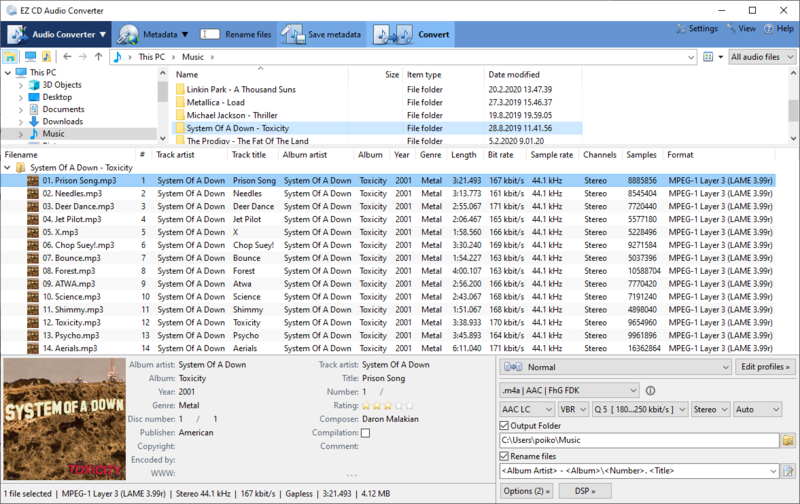 Preserve all metadata, embedded images, and source folder structure on audio file conversion. Up to 64 parallel audio file converters for maximum performance on multi-core processors. Apply DSP effects such as ReplayGain metadata calculation, EBU R128/ReplayGain loudness normalization. Save modified metadata to the source files. Automatically or manually resize Cover Art and save to the audio file or external file. Secure CD ripping with advanced error detection. 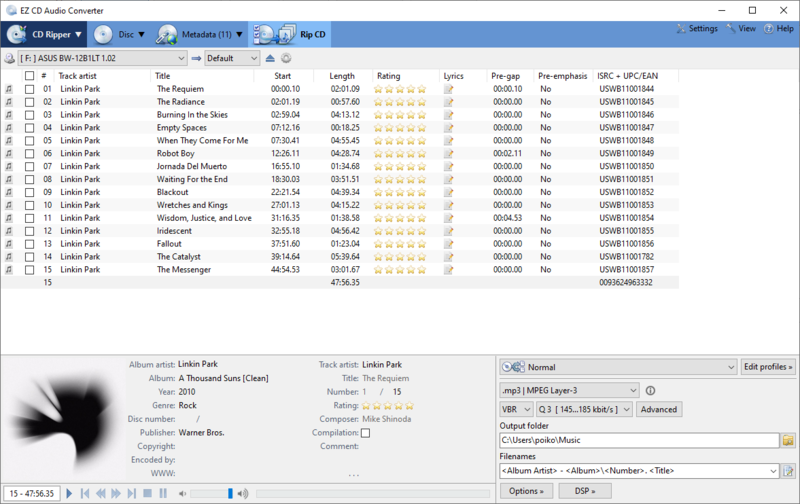 Read CD-Text, ISRC, Pre-Gap information and create exact audio CD images. Burn audio CDs, MP3 CDs, and data CDs & DVDs. Supports high resolution audio. Audio processing is performed in 64-bit float accuracy. Supports gapless encoding and decoding. Highest quality SoX Sample Rate Converter is used to perform the audio resampling. Dither can optionally be applied when converting high resolution audio to 24-bit, 16-bit, or 8-bit. Download high quality metadata and cover art from 6 online metadata services.